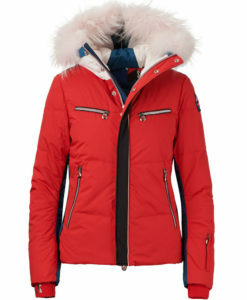 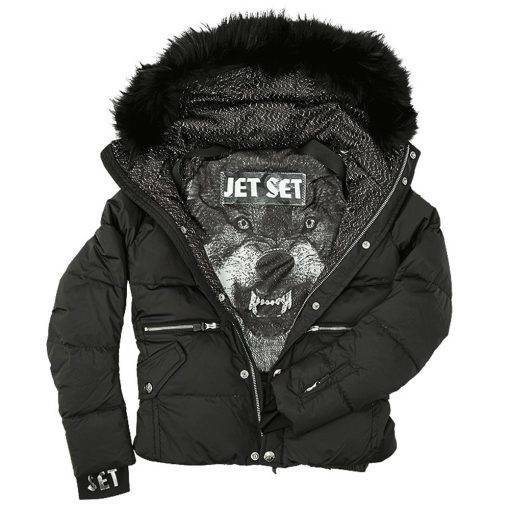 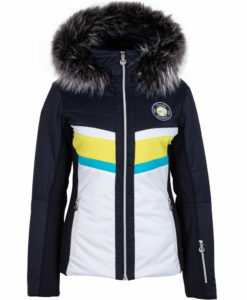 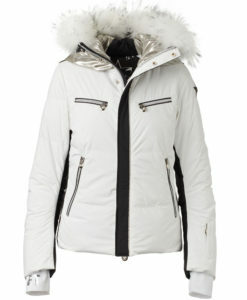 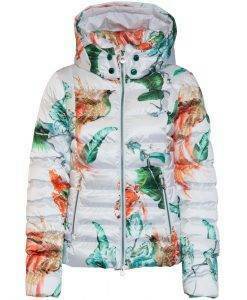 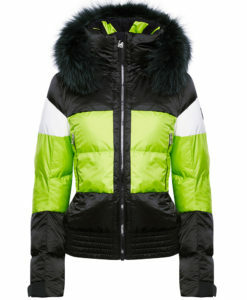 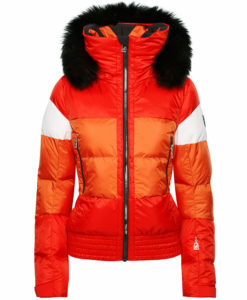 The Jet Set Chiara Fur is a modern re-invention of the down ski jacket. 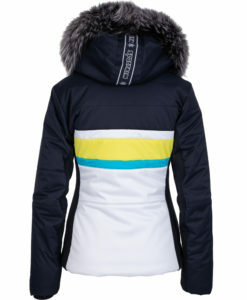 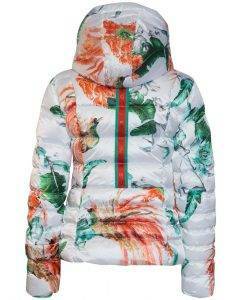 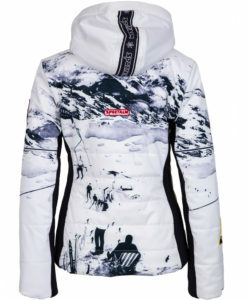 This insulated ski jacket is filled with premium quality down so you get a extra warm ski jackets that moves with you. 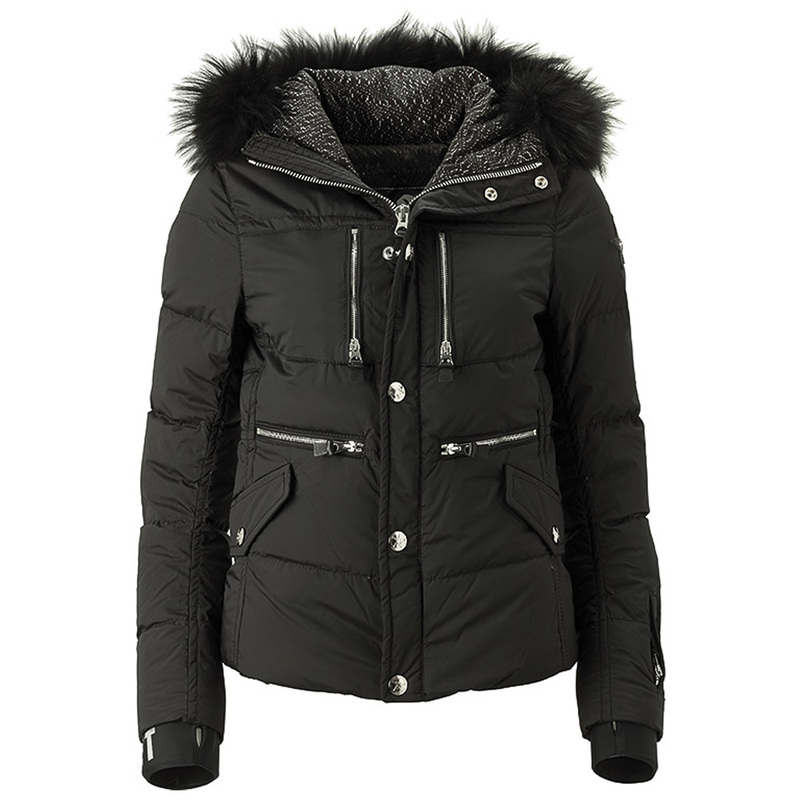 Finn racoon fur lines the removable hood to give this jacket that extra snap and something cozy to snuggle into on those blistery winter days. 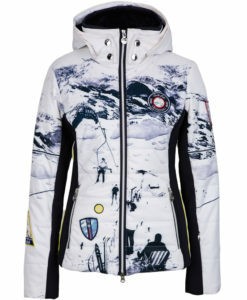 Six different pockets on the front of the jacket add to the design while giving you plenty of space to store all your ski essentials. 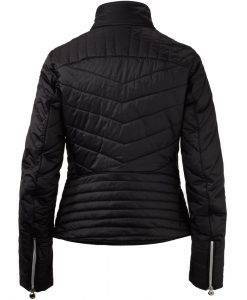 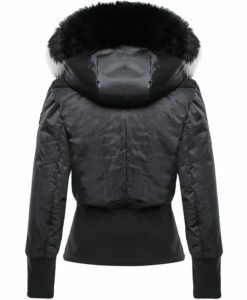 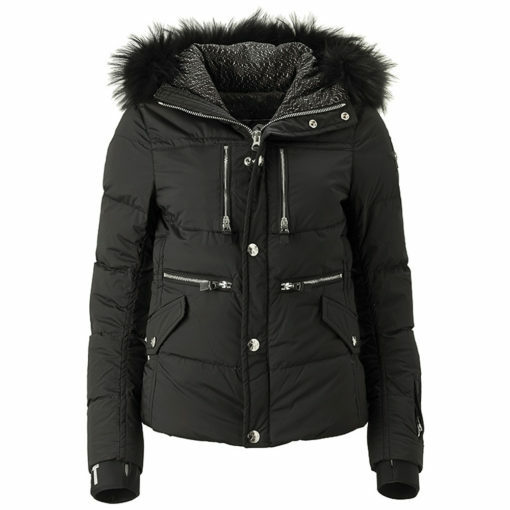 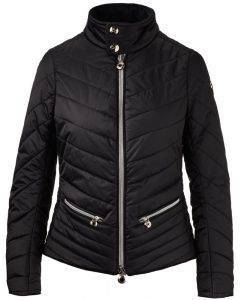 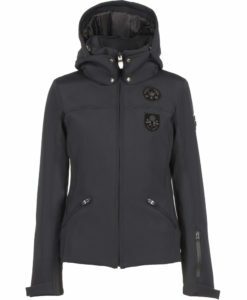 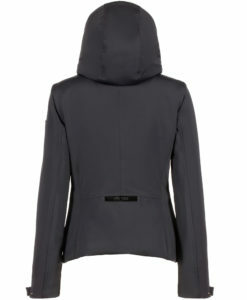 Elegant in a simplistic style the technical down Chiara Fur will keep you warm, dry and looking great all winter long.